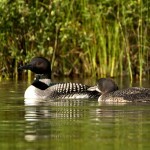 Golden-Days Loon Preserve features fragile and unique habitats and is considered a “sanctuary” by the Conservancy. 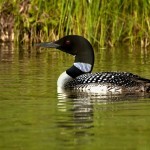 The preserve is situated on the shore of a shallow cove at the northern tip of Lake Bellaire. The property includes two cold water creeks that meander through a hardwood-conifer swamp before emptying into the lake. The swamp includes dense canopy, open canopy areas, excessively wet areas as well as some drier areas on hummocks and roots. This diversity provides conditions for a wide variety of plants and animals to thrive. Golden-Day’s Preserve flora is considered to be of statewide natural significance and contributes to the biodiversity of Michigan. The swamp and riparian area also contributes to water quality by acting as a physical and biological filter for both runoff and groundwater entering the lake. The shoreline is another important feature of the preserve. It is a transition area from the lake’s open water to the swamp. 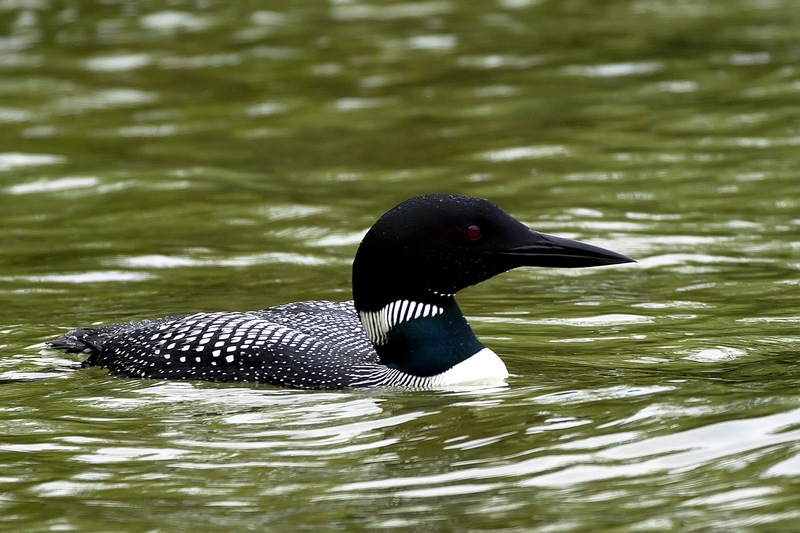 These transition ecosystems typically provide a very high density of species diversity and in this case, provides cover and forage for wide variety of aquatic life, including Loons. 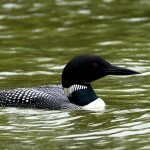 These birds are a species listed as threatened both federally and by the state. 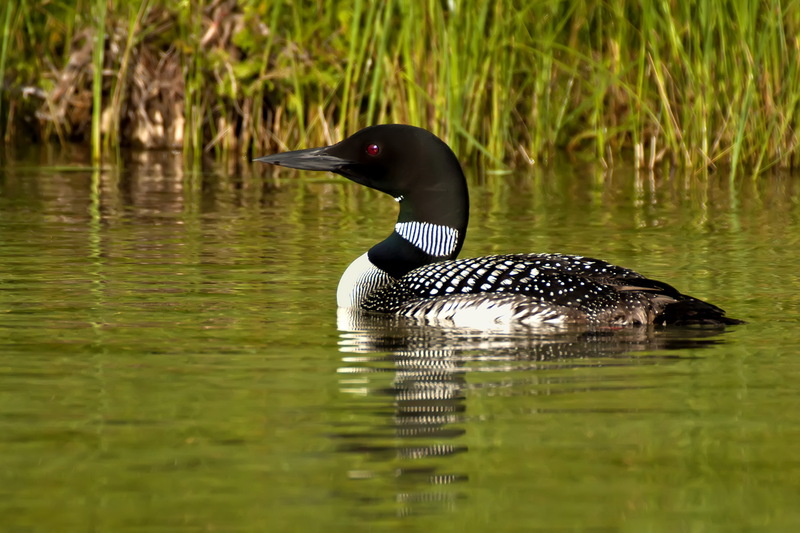 Loons, which are highly sensitive to human disturbance during nesting and requires a natural undeveloped shoreline in which to brood and rear its young, have utilized a nesting platform placed near the preserve’s shore annually since 1989. 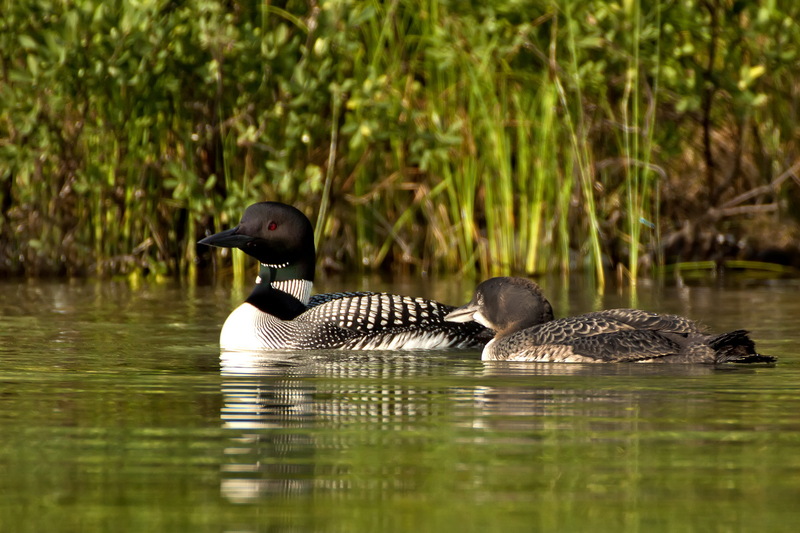 Although Golden-Days Loon Nature Preserve is open to the public, its sensitive features are not suited to disturbance so there is no parking area or trails. The Boundary Map may help visitors stay within the preserve. The preserve can be observed from kayak but accessing land could be hazardous and is not recommended. Due to the Preserve’s small size, sensitive nature, and close proximity to Clam Lake Rd., hunting is not allowed.